How does one of the longest-standing, most legendary prime Rib restaurants in Chicago manage to update itself without altering its integrity? By carving out the west side of the historic building to make way for an American gastropub. Lawry's Prime Rib is the restaurant in question, polishing up a portion of its mansion-like space for a modern gastropub called SideDoor. "We're cultivating the next generation of Lawry's guests," explains Max Maxwell, general manager of the restaurant, and they're doing so by building out a casual eatery filled with sandwiches, charcuterie, cocktails, beers, cheeses and more. As is the case at Lawry's Prime Rib, where buttoned up guests come from near and far for some of the country's best prime rib, the concentration of the food program at SideDoor will tend towards prime beef. The difference is in the casual nature and presentation. 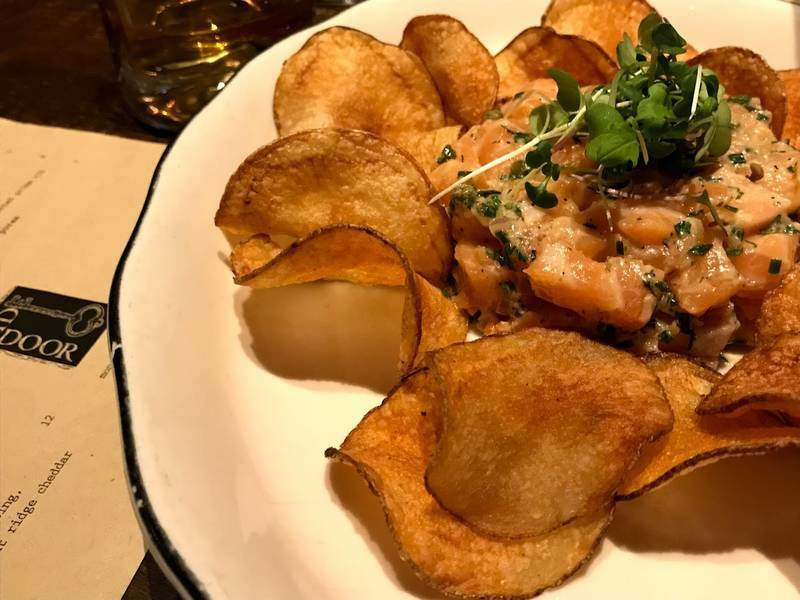 Whereas Lawry's boasts all the pomp and circumstance of the McCormick Mansion in which it resides, SideDoor feels like a relaxed lounge, and the food is more small plates. Victor Newgren is the chef behind both concepts, and having worked at Lawry's for five years, he's ready to get crafty with a new menu. "There's a lot of creativity to be had when you're managing $7 million worth of product," he says of the menus at Lawry's and SideDoor, clearly working with the best ingredients available, sourced locally and internationally, including from Maxwell's family farm in central Indiana. SideDoor will have a sizable griddle for burgers, along with a roasted meats board, similar to a charcuterie board except that the meats are served warm. 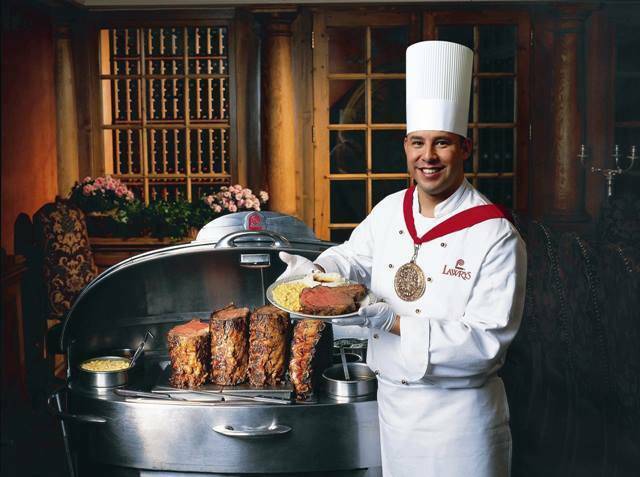 "Lawry's guests never really leave hungry. Hopefully it will be the same for our SideDoor guests," says Newgren. Obviously there will be prime rib sandwiches, because as Newgren explains, "we don't want to lose sight of who we are." There will also be prime rib chili cheese fries. Andrew Macker is the man behind the beverage program, an important pillar of the operation. As soon as guests enter the SideDoor entrance, marked by a red key on Rush Street, they'll be greeted by a bar area, an extension of the bar from Lawry's on the other side of the wall. An alum of Markethouse and Ada Street, Macker's mixology philosophies skew culinary, having learned "cooking" techniques behind the bar at his previous tenures. He calls it "utilizing the cooking process to maximize flavors," such as taking the same fruits used on charcuterie boards, cooking them down, and adding them to cocktails. Such is the case with his Michigan Mustang, a riff on a Moscow Mule made with seasonal fruits and his own Fernet that he collaborated with FEW on making. There's also a smoked Negroni made by smoking water, freezing it into giant ice cubes, and immersing it in liquor. 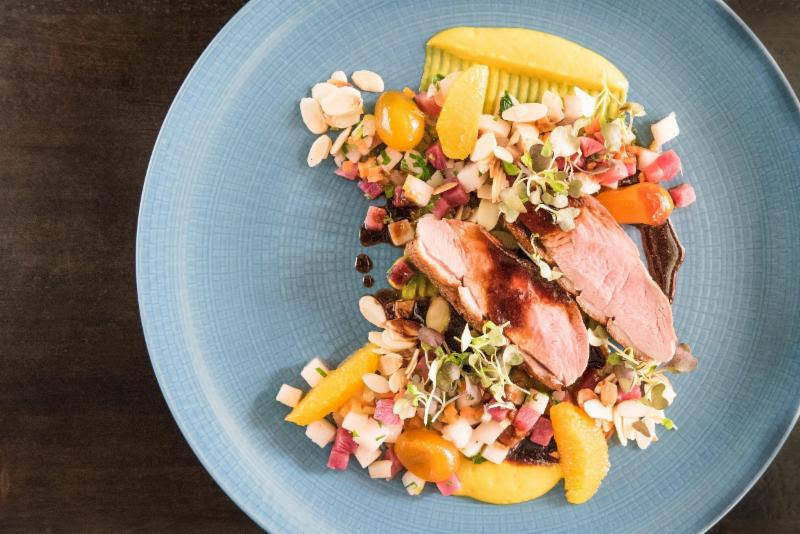 On the space at SideDoor, Maxwell describes it as "a little retro, a little classic, but very modern as well." For instance, pressed copper panels on the ceiling and original mansion beams are offset by shimmering new culinary equipment, chic lounge seating, and more. The restaurant is set to open right after Restaurant Week in February, starting with dinner service and adding lunch shortly thereafter.